Your IT budget planning is most likely well underway and you are probably putting the finishing touches on it. Or perhaps you work for one of those organizations that has a fiscal year that does not align with the annual calendar, and you are in research mode. Either way, deciding where money will be well spent is a significant planning process. The word “budget” can be such an intimidating and restricting word to many…but it’s an essential annual process and perhaps could be viewed as a way to limit unnecessary expenses and maximize the value of the investments to enable your business. To prioritize your 2015 IT expenses, it is important to consider the following to ensure you have allocated enough budget dollars. Not only will considering these as priorities help set up your IT team for success, but the addition of strong strategic partners for managed services will place your core team in the driver’s seat for more strategic and revenue-generating activities, leaving other less-strategic IT tasks to a value-added partner. Fortunately, you do not have to go it alone. NEC offers complex Analytics and Big Data that turn your data into valuable insights for your business. Think of these insights as priceless intellectual information your business can use to make smarter decisions. Maximize your business potential by using analytics to decrease costs, improve revenue, drive profitability and increase customer satisfaction. While your team is focused on the core of your business, the NEC team will partner with you to bring big data to life, unlocking the intelligence hidden in the data, while also supporting any planning and implementation. Our solutions work in the NEC Cloud, on-premise and hybrid deployment models and leverage multi-vendor strategies. Cloud services provide an excellent way to empower a mobility strategy, as well as ensure rapid provisioning of seasonal and temporary employees. 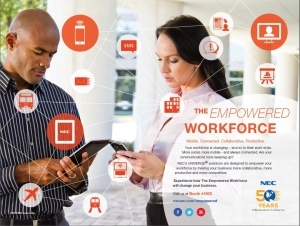 In fact, enterprise mobility removes many barriers for employees who are either on the road or in remote locations, ensuring they can access enterprise applications quickly and easily. However, the use of cloud in your organization is something that requires strategic thought. There are many concerns about cloud applications, including security and reliability. What applications should you actually use in the cloud? Are there some that should remain on-premises? Can you be certain that the cloud services will meet your needs? 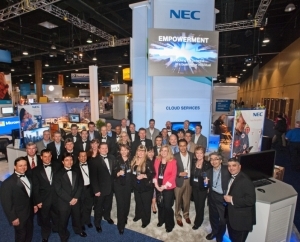 This is an area where the NEC team can bring broad experience to your table. Our Cloud Services team provides solutions that transform your business by bringing together people, applications and smart devices to deliver communications and collaboration solutions through the cloud. For example, Desktop-as-a-Service or DaaS is a cloud service that deploys virtual desktops that users can access from any device, anywhere. Talk about flexibility for your business! One of the benefits of DaaS is that it enables your business to step into cloud usage in a strategic manner, while giving you peace of mind regarding security and access, all without touching critical enterprise applications, such as financial software. The NEC team offers a solid strategy that meets your specific environment, from on-premises to hybrid to public cloud services. The important thing is that your business requirements are considered and met without interruption through a seamless integration. Our team is well-versed in creating this environment so you can utilize the cloud to maximize your business while minimizing any risk. Knowing which services are core to your business or simply routine, but still important, is a key decision to be made…so that leaves the question: Do you have all the expertise in-house to properly evaluate the many aspects of IT and then make the best decision for your organization? With the ever-changing landscape, particularly in the areas of security, cloud and virtualization, it is extraordinarily difficult to have all the talent in-house you need to make the best decisions and implement the right solutions while still contributing to the company bottom line. Our Managed Services teams understand all these complexities, and have built a strong talent pool to execute our offerings. We believe that rather than trying to do it all on your own, you should have the option to align with experts who act as an extension of your existing IT team. Our managed services offering, NECommand, enables business through important IT solutions in three key offerings: nBuild™, nMaintain™, and nManage™. These services provide you with the level of expertise for your particular environment, whether it’s implementing a new system, providing administrative functions and maintenance to free up your internal IT talent, or managing those complex systems such as security, we have created services to align with your business needs. The typical budgeting process often means “take what you have done, add or subtract by percentages and submit the number.” However, with the consistent fluctuations in IT, you should probably ask yourself is it better to rely on historical experiences alone to make important business decisions? Instead, consider working with NEC to help you manage your IT future and make solid business decisions that can enhance your bottom line. You can learn more about our Analytics and Big Data, Cloud and Managed Services by visiting our web site, where you will find white papers, videos and other information to help you make the right adjustments to your 2015 IT budget. Hey Buddy!, I found this information for you: "E911: 6 Things Every Hospitality Technology Professional Should Know (Part 2)". 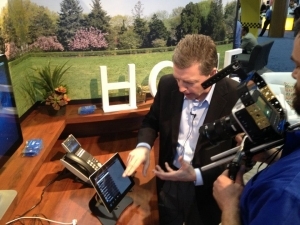 Here is the website link: http://nectoday.com/e911-6-things-every-hospitality-technology-professional-should-know-part-2/. Thank you.